ASAJA Alicante applauds that the Euro-MPs from the European Commission acted responsibly by refusing the agreement with Morocco and demands to the European Parliament to adopt the same decision fully. The European Commission refused yesterday the approval of the agreement with Morocco for the commerce liberalization for agricultural products and ASAJA Alicante pressures the European Parliament to do the same, that was already expected to be done in October. “This numbers could mean a drop in prices at origin. They are already low, it would force exploitations to be closed down and the cultivated areas to be abandoned”, denounced the president of ASAJA Alicante, Eladio Aniorte. According to a study made by technicians of ASAJA Alicante, Morocco would replace us in citrus exports to countries like France, Portugal and Italy, that are today some of our main clients. 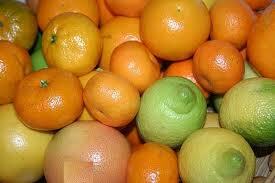 Counting on evaluations, only on citrus, Valencia Community would lose 53,400,000 million Euro. Losses on exports from Alicante are around the 2,400,000 million Euro, but the impact would be wider, since the majority of the production goes through the Valencia port to other countries. “I hope they don’t dare to approve it, now that they have delayed the decision for investigation. Moreover, they should count on only allowing the present amounts and reinforce vigilance systems in the EU to control it. In practice, Moroccan producers get more than the agreed imports to Spain and this has been happening for years. There’s no sense in awarding this and allowing entrance with free prices. It would mean ruin for the Community farmers”, defended Eladio Aniorte. “In any case and despite the needed change in tendency and good news, at ASAJA Alicante we consider that there are still some important aspects missing. The first one being, the revoking by the European Parliament of the agreement and, secondly, the opening of a new negotiation to renovate the agriculture protocol to some more advantageous conditions for Spanish products in Europe”, according to “agroinformación”.